Money on Toast to outsource its administration to Equiniti Wealth Solutions. Mitek announces Restrictive Endorsement feature to reduce risk of duplicate check deposits. Azimo opens up money transfer service to Kenya’s M-Pesa. 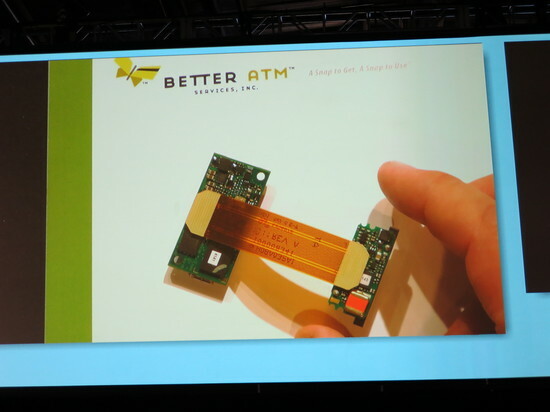 Better ATM Services signs agreement with ATM manufacturer, Genmega. Ixaris teams up with United bank for Africa (UBA) to bring its virtual card platform to 20 markets in Africa. Ingo Money acquires Fuze Network. Socure scores $2.5 million to overcome evil with good. Yantra Financial Technologies integrates Ripple Protocol into risk management system. Personal Capital “zips past the $350 million mark,” reports growth rates of +10% month-over-month. Inc. features Kabbage’s growth & how it has extended $200+ mil in funding to SMBs in just 2.5 years of operations. FINalternatives looks at P2P lending growth and evolution, including Lending Club and Prosper. Ovum research report highlights ACI Worldwide’s leadership in payment switching industry. MarketWatch features Better ATM Services in report on the next generation of ATMs. CSI globalVCard named a finalist in two categories in 2014 Stevie Awards. RTE News takes a look at Irish fintech startups including CurrencyFair and Trustev. 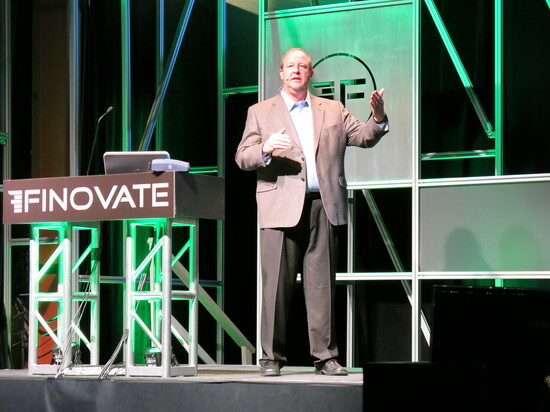 Watch Trustev demo its technology at FinovateEurope 2014. ACI Worldwide announces its point to point encryption (P2PE) solutions now supported by VeriFone, Ingenico, and Equinox. New contract with Advanced Network helps Better ATM Services grow its reseller network. Netbanker reports: Moven Offers Free Ride, but Only to New Uber Customers. Industry analyst Ovum names Backbase a Market Leader for next generation digital banking platforms. Linkable Networks partners with marketing content publishers to form The Linkable Network, its new card-linked shopper marketing network. Ripple makes an appearance on NBC’s hit TV thriller, The Blacklist. Dwolla announces partnership with Fiverr by giving away free Fiverr gigs. FinovateEurope 2014 Presenting Companies Revealed. Intuit to Acquire Docstoc, Small Business Document Startup. Better ATM Services rolls out reseller network and announces first agreement with Express Teller Services. TSYS earns spot on the National Conference on Citizenship’s The Civic 50. Titan Bank and Congressional Bank now buying loans through the Lending Club platform. Nexonia integrates its expense reports solution with Bill.com. Mexican Airline Volaris adds SafetyPay to payment method options. Prosper reduces maximum loan percentage to 50% for investors in any one loan. Geezeo signs Corporate America Family Credit Union. Andera’s oFlows platform will be the new account opening technology for Intuit’s financial institution clients. Check (formerly Pageonce) announces expedited payments. Consumer Reports takes a look at the growth of Better ATM Services. Wallaby releases version 2.0 for iPhone with new interface, Foursquare integration. BRE Bank, operator of mBank launches “new mBank”, which is based on Meniga´s PFM. U.S.-based life insurance carrier expands use of Kofax solutions by investing an additional $550k to automate document processing. Personal Capital introduces new dashboard features. Bank Innovation visits Dwolla’s new office in NYC. The Next Web reports: Simple launches its Goals feature on the iPhone. Ping Identity named in IDG’s Computerworld 2013 Best Places to Work in IT. Zopa cuts personal loan rate to 4.9%. QuantConnect adds FX, US equity tick data; raises capital. MicroStrategy to partner with Hortonworks to improve Apache Hadoop usability. ixaris shows off its new look and rebranding. Web AppStorm reviews Kashoo’s cloud-based accounting technology. eDeposit teams up with DoubleBeam to integrate mobile account enrollment and eCheck deposits into eDeposits mobile payment network. LICUOS named a finalist in the Next Bank Madrid – Innotribe Startup Disrupt. Fox Business News features Arxan CEO Mike Dager on mobile banking security. Better ATM Services CEO Todd Nuttall talks about the “real lessons” from the Cyprus financial crisis. From Mesa, Arizona, the Better ATM Services team is here to present their ATM-dispensed, prepaid VISA gift card technology.